Walking in Downtown Santa Monica is about to get a little bit more fun. Santa Monica is moving forward with a “creative crosswalks” pilot program that could transform two intersections in Downtown Santa Monica into colorful works of art with designs that reflect the character of the bustling district. 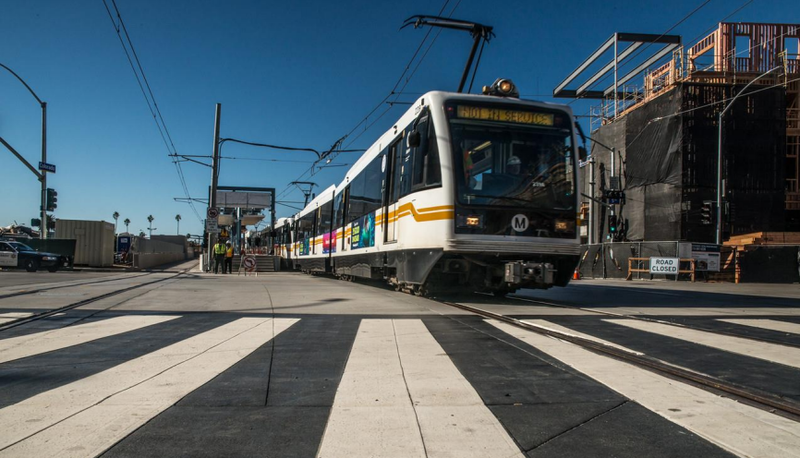 “Creative crosswalks can create a sense of surprise and delight that adds to the experience of walking in Downtown,” said Francie Stefan, Santa Monica’s mobility manager. In an effort to get some ideas for how to decorate the two crosswalks — at the Ocean Ave. and Broadway intersection and the 2nd and Arizona intersection — officials are asking people to take a short online survey. 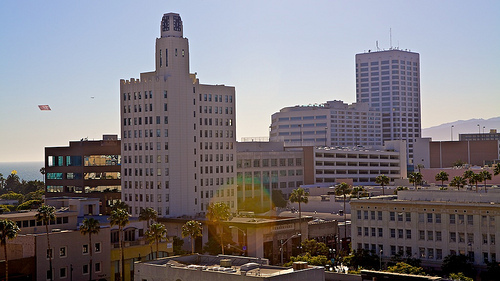 The survey asks questions about what makes Downtown Santa Monica an inviting place to walk, what you love about the place, and it invites participants to tell a fun story about an experience downtown. The responses will help inform the designs that will, according to the project timeline, will get finalized in early August. Both intersections that are receiving the special creative treatment are two of the 12 newly-installed scramble crossings in Downtown Santa Monica to help improve pedestrian safety. Santa Monica has been making strides toward designing safer, more comfortable streets, including recently adopting a pedestrian action plan that includes a Vision Zero statement, which affirms that the goal of the plan is to bring the number of traffic-related deaths and serious injuries to zero. To those ends, the city has also applied for $3.6 million in Active Transportation Program funding from the state to fund a “safe routes for seniors” program as well as for major safety improvements around the 17th Street Expo station and along the stretch of Pico Boulevard near Santa Monica College. Last year, Portland, Oregon debuted rain-themed crosswalks. 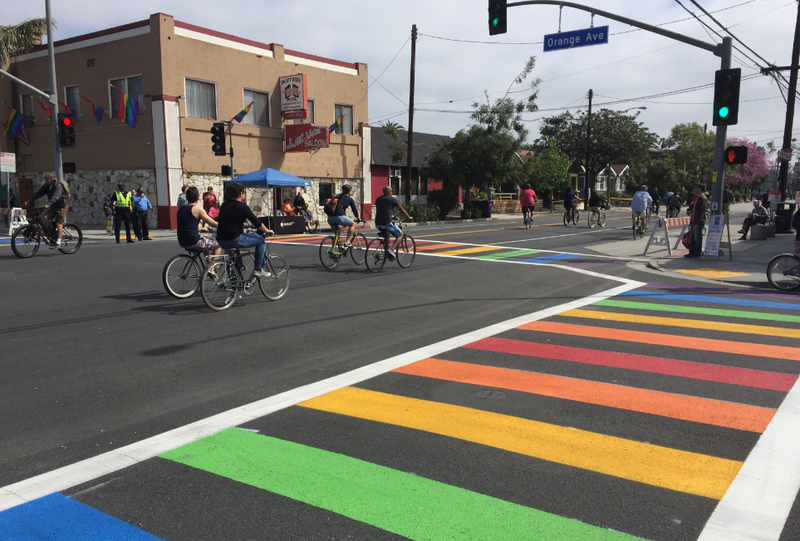 And, West Hollywood and Long Beach both have rainbow-colored crosswalks that celebrate the histories of LGBT culture in each city. Cities around the world have been using creative crosswalks not only to enliven the pedestrian experience, but also to make streets safer by making pedestrian crossings more visible to motorists. According to the project timeline, Santa Monica’s first two creative crosswalks could open by the end of August.